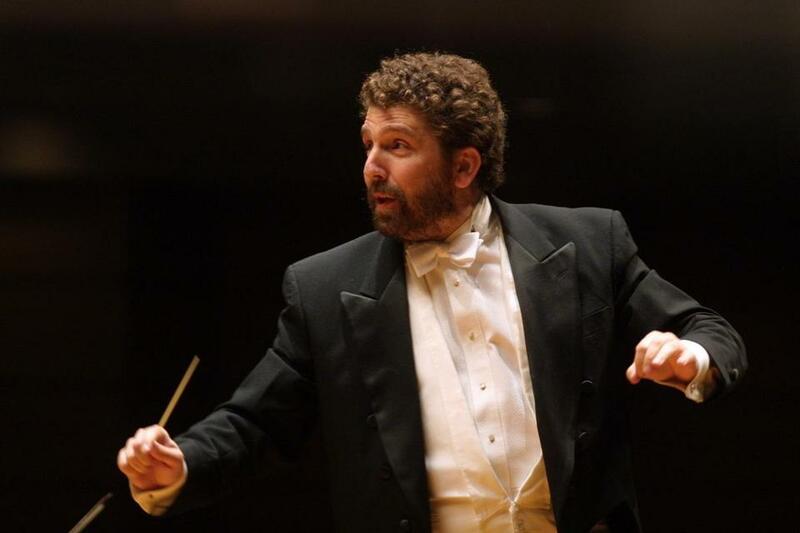 Israeli conductor Asher Fisch will lead an all-Wagner program modeled on a concert from 1937, the festival’s inaugural year. The Boston Symphony Orchestra will celebrate the 75th anniversary season of Tanglewood next summer with several world premieres, concerts based on programs from its inaugural season, and new media initiatives. Composers John Harbison, Andre Previn, Michael Gandolfi, and Edgar Meyer will each have new works premiered by the BSO, and a new work by Gunther Schuller will be performed by the Tanglewood Music Center Orchestra. Select performances will be broadcast internationally, master classes from the Tanglewood Music Center will be streamed on the Tanglewood website, and the orchestra will offer 75 free streams, one per day, of notable performances from its archives. These and other details were announced today at Symphony Hall. The 75th anniversary will be a season-long theme, beginning with opening night (July 6), whose all-Beethoven program led by Christoph von Dohnanyi will replicate the first BSO program performed on the Tanglewood grounds, on Aug. 5, 1937. The anniversary will also be the focus of a July 14 gala, with performances by the BSO, the Boston Pops, and the Tanglewood Music Center Orchestra, led by John Williams, Keith Lockhart, and the Latvian conductor Andris Nelsons in his Tanglewood debut. That evening’s guest performers will include James Taylor, pianists Emanuel Ax and Peter Serkin, cellist Yo-Yo Ma, and violinist Anne-Sophie Mutter. Also modeled on a concert from August 1937 will be an all-Wagner program (July 21) led by Israeli conductor Asher Fisch in his BSO debut. Williams’s 80th birthday will serve as the occasion for another gala concert (Aug. 18), with participation from Ma, conductor Leonard Slatkin, pianist Gabriela Montero, soprano Jessye Norman, and clarinetist Anthony McGill. Returning guest conductors include Christoph Eschenbach, Kurt Masur, Lorin Maazel, Bramwell Tovey, Rafael Frühbeck de Burgos, who will lead a concert performance of Manuel de Falla’s opera “La vida breve,’’ and Charles Dutoit, who will lead Berlioz’s “Damnation of Faust.’’ Stéphane Denève will make his Tanglewood debut, as will BSO assistant conductor Marcelo Lehninger, whose program will include a Mozart piano concerto and a Villa-Lobos work for piano and orchestra, with soloist Nelson Freire. British pianist Paul Lewis will make his BSO debut in Mozart’s Piano Concerto No. 23, under Dohnanyi’s baton. Ozawa Hall events include the return of the Mark Morris Dance Group, Ma’s Silk Road Ensemble, the Ebène Quartet, and the Emerson Quartet. Gerhard Oppitz will perform a multipart survey of Brahms’s complete works for solo piano; Benjamin Bagby’s medieval music ensemble Sequentia offers its program called “The Rheingold Curse’’; and Mutter will perform a recital with Previn. Three young composers who are recent TMC alums - Ju Ri Seo, Adam Roberts, and Matti Kovler - will have new works premiered on TMC programs. The annual Festival of Contemporary Music (Aug. 9-13) will be codirected this year by Harbison and Oliver Knussen. And a new discussion series, “Concerning Music and Society,’’ will take place on three Saturday afternoons.